Ask How to Get 1% Down! The Missouri Mortgage Clearing House Team is your premier mortgage team located in Fenton, Missouri. We pride ourselves on offering some of the lowest rates and competitive pricing throughout Missouri and making the loan process simple, straightforward and fast for borrowers seeking a mortgage in Fenton and the surrounding areas. At Missouri Mortgage Clearing House, we work with all types of loans, including FHA Loans, Conventional Conforming Loans, VA Loans, Jumbo Loans, Construction Loans and even Hard Money Loans. Ask us about our 1% Down Payment Equity Builder! If you are seeking a home loan in Fenton, MO, Missouri Mortgage Clearing House has the experience to help you secure your next home. Whether you are a first time home buyer, purchasing your dream home, refinancing an outstanding loan, or consolidating debt, in any part of Missouri, our team can help you take that first step toward a financial solution. With 17 years’ experience as a mortgage professional in the St. Louis MO area, as well as St. Charles MO, Jefferson County MO, Kansas City MO, Springfield MO, we’ll give you the personal attention you deserve and treat you with the respect due a valued customer. We understand you’re making a commitment in buying a new home, refinancing a mortgage, or cashing out your home equity. So we make a commitment to you that we will help you apply, qualify and be approved for the right mortgage loan for you, not anyone else! We are especially proud of our 1% Down Payment Equity Builder Mortgage Program, which is a pilot home loan program that applies to owner occupied properties only and is available to first time home buyers or people who have previously owned a home. 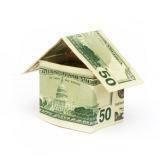 If you are seeking to purchase a house, ask us how we can help you get a low down payment with no prepayment penalty.